Different options are available: hotel accommodation (all-inclusive or room only), rented apartments on a weekly basis or for longer. We can suggest several hotels near our centre. Prices vary according to the time of year. Rates quoted are per night for a double room and a one-week stay. If you want an all-inclusive package (flights + hotel), we can refer you to specialized agencies. 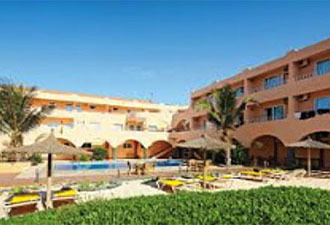 The Morabeza Hotel, located on Santa Maria beach, is very close to the town center. You can reach the ATLANTIC STAR after a five-minute walk via the beach. The hotel has comfortable rooms and an excellent restaurant. Local musicians provide musical entertainment in the evening. The Meliá Tortuga hotel, located on the island’s west coast, is a five-minute taxi ride from Santa Maria. We offer our guests a free transfer to the ATLANTIC STAR. A good quality, “all inclusive” hotel. 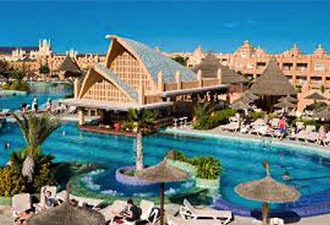 The Meliá Dunas hotel is located next to the Tortuga (same hotel chain), on the island’s west coast. Recently opened, good quality rooms and restaurants. “All inclusive» service. 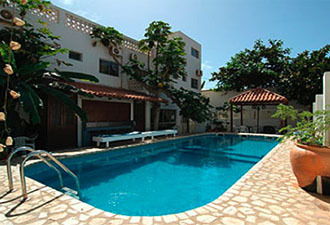 The Odjo D’agua is a small and cosy hotel located on Santa Maria beach. It boasts a very beautiful view over the sea. It is about a 15-minute walk from the ATLANTIC STAR center. We offer our guests a free transfer. This hotel has an excellent restaurant serving local cuisine, charming rooms and a small swimming pool. 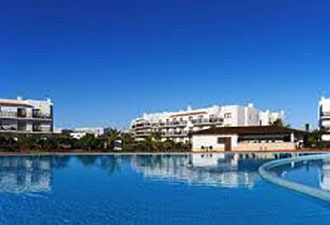 The Riu Funanà and Riu Garopa are “all inclusive” hotels. 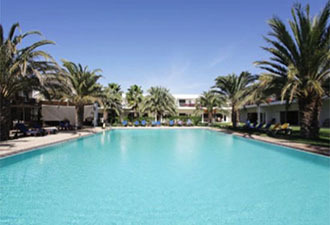 Recently renovated, they offer comfortable rooms, fine swimming pools and bars and theme restaurants. The beach is just opposite. It is a ten-minute ride from the ATLANTIC STAR on our transfer service. 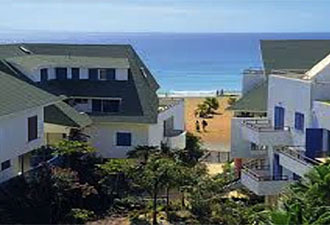 The Dunas de Sal is a good hotel very close to the ATLANTIC STAR center (a 2-minute walk away). Good quality rooms and restaurant, a final central swimming pool and local entertainment during diner. 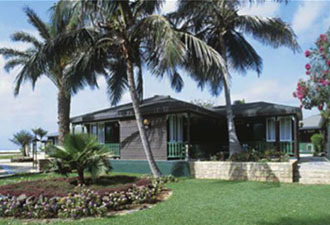 The Oasis Belorizonte, a five-minute walk from the ATLANTIC STAR center, is reputed for its bungalows and excellent cuisine. It is one of the best places for a pleasant stay. Very friendly staff. Free transfer to our water sports center. 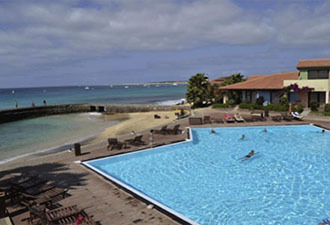 The Pontão hotel is located at the entrance to Santa Maria town and is ideally situated near the beach, restaurants and bars in the town center. The ATLANTIC STAR is about a 15-minute walk away, but our free transfer will get you there more quickly. A comfortable hotel with a fine swimming pool. At Pousada Da Luz, which is locally owned and managed, you will be able to discover local culture and traditions. Basic, clean rooms, a small bar/restaurant and a small swimming pool. A five-minute walk from Santa Maria town center. Free transfer to our water sports center. Residential Nha Terra is located in Santa Maria town center. 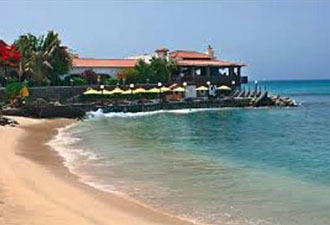 It has a restaurant that serves local Cape Verde dishes. Close to the beach and fishermen’s wharf. A ten-minute ride to the ATLANTIC STAR center in our free shuttle bus. 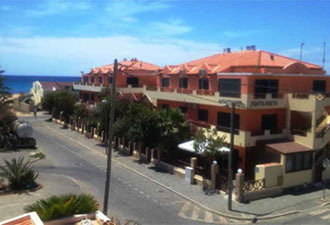 Ponta Preta apartments offer very comfortable apartments with sea views and everything you need to make your stay enjoyable. 5 minutes from Santa Maria town center. Free transfer. Djadsal Moradias apartments are located 10 minutes from Santa Maria and only a 5-minute walk from the ATLANTIC STAR center. 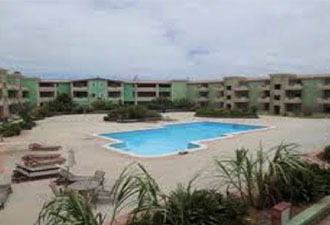 The apartments are comfortable with a large and fine central swimming pool. A small supermarket, restaurants and bars are all located nearby. 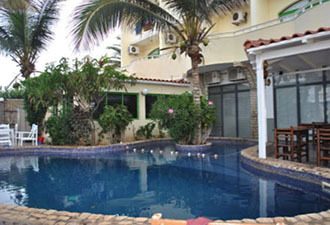 The Porto Antigo Aparthotel has its own private beach and is located in Santa Maria town center. 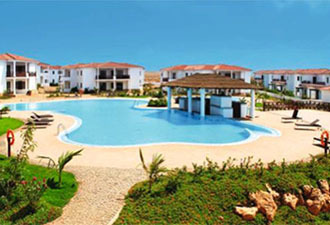 The apartments are comfortable and boast a very beautiful view over the sea. This hotel complex is close to the bars and restaurants in the center of Santa Maria and 30 minutes from the ATLANTIC STAR center. You are welcome to use our free transfer service. 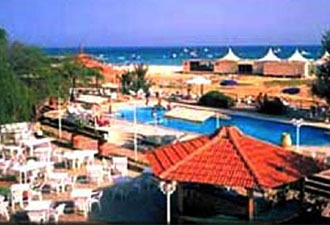 The Leme Bedje Aparthotel is a stone’s throw from the beach. Fine apartments with access to a swimming pool and garden where you can relax and chill out. Restaurants are nearby and you are a five-minute walk from the town center of Santa Maria and a 40-minute walk from the ATLANTIC STAR water sports center. You are welcome to use our free transfer service.